<!- google_ad_section_start -> SEO Unwrapped! 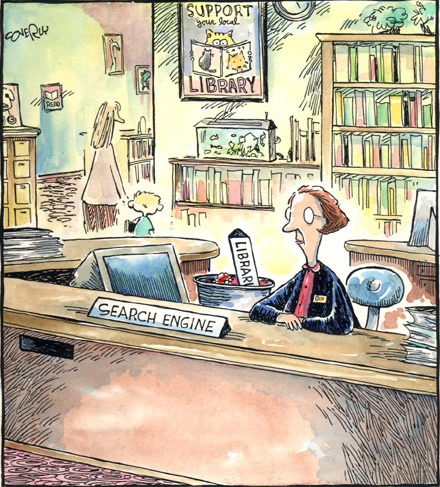 To start at the beginning... What is a search engine? A search engine is like an electronic index, each search engine (and there are hundreds) may use different criteria and reference points for indexing. The user submits their search terms (keywords) to the engine, and the engine lists web pages which it feels will be relevant to this search term, usually starting with what it considers the 'best' match first. The leading search engine is without a doubt 'Google', and if you concentrate on optimising for Google, you won't go far wrong. If I had to choose one other leading search engine, then I would also choose 'Yahoo' as a significant also-ran. So what is Search Engine Optimisation? SEO is the art of getting near to the top of the search engine list for a specific search term or keyword. Ideally you want to get to the top of the first Search Engine Results Page (SERP) or at least to be included somewhere on the first page. For instance, if you sold footwear then you might try to get good search engine rankings for the word 'shoe' or more specifically 'new shoes' or maybe even for a specific brand name or style of shoe that you are seling. How do you do it? The sixty-four thousand dollar question...and you won't be surprised to learn that it is very complex (which is why it is an industry all of it's own), yet there are some simple rules that everyone can understand and exploit. You can buy your way in by having an advert placed at the top of the page or by having your advert box appear in the sidebar, see Google Adwords for more about this - but what we are concerned with here is getting into the real results without using Adwords. There are plenty of service providers out there offering to place your website on the first SERP for Google, Yahoo etc.. for a hefty price, but what they don't tell you is that there is a lot you can do yourself to get there for free!